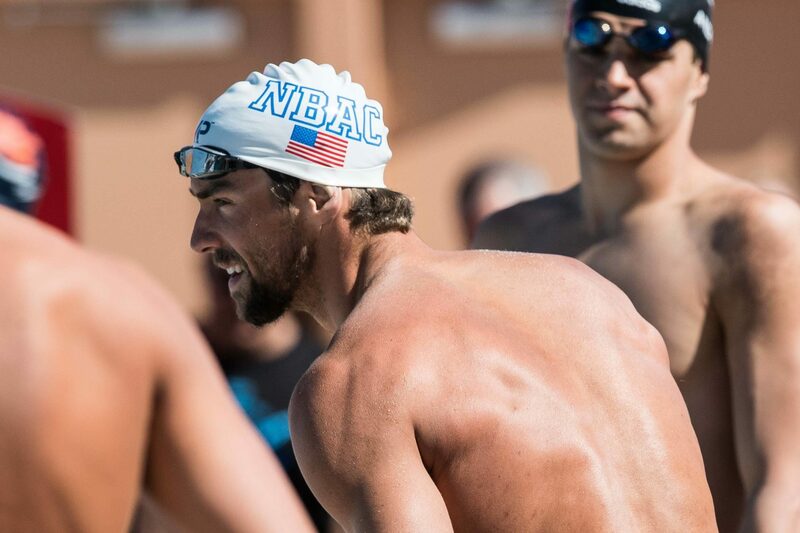 At his final tuneup meet before the U.S. Olympic Trials this month, Michael Phelps is a man on a mission. Phelps will swim the 100 and 200 free, 100 fly, and 200 IM at this meet, but the 200 free may hold special significance. In an interview with Sports Illustrated, Phelps and Bowman discussed their plan to attempt to qualify for the Olympic 4×200 free relay with his swim at the Longhorn Elite Invite. If Phelps can secure a spot on the relay with his swim at this meet, he may be able to skip swimming the event at trials in Omaha. Not swimming the event at trials would mean Phelps could start his event schedule a full day later, and it would take 2 (possibly 3) swims off his plate. 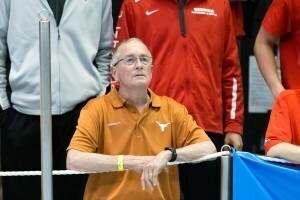 The 200 free at the Longhorn Elite Invite will be contested on Saturday, and it will be Phelps’ only swim of the day. 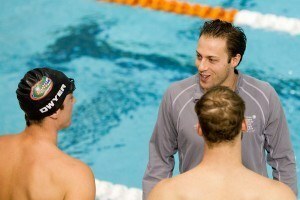 He’ll be challenged in the event by some of nation’s top 200 freestylers, including Longhorn teammates Jack Conger, Clay Youngquist, and Townley Haas. How can he qualify for the relay at this meet? Basically just because he’s Michael Freakin Phelps. Agreed. MP is the GOAT. For someone else, say a breaststroker that goes a :57.6 in this meet, can they get an automatic ticket to Rio without swimming it at Omaha? What are the rules on such a thing, however unlikely the swim might be. Really he is just aiming to put up a time for the relay. As I said below, at the Olympics relay swims are at coaches discretion. So assuming Phelps is in Rio, if he has done a good enough 200 free time in the recent past (even if it’s not in Omaha) the coaches are free to put him on the relay. This would be the same for anyone else who might be on that level. For example, if Jack Conger swims a 1:44 tomorrow and elects to slip the 200 free at Trials, assuming he makes the Rio team in a different event, the coaches would definitely have him on the relay at the Olympics. Unless you’re top two at Trials, you won’t get an individual swim. If ya make the team in another event – like Phelps probably will do in something outside of the 200 free – the coaches can elect to put him on a relay even if he doesn’t place top 6 in the 200 free at Trials. Let’s be clear, no one qualifies in an individual event outside of trials. It’s just the relays where a concession could be made and it’s happened multiple times with Phelps over his career in the 100m free . So far he’s come up big each time. If he throws down a 1:45, he’d be put on the relay no questions asked. Is he actually allowed to do that at a non-Olympic Trials meet? Agree, outside of Adrian and Phelps I don’t know what we’ll get from the others. The young guys are a wild card, Jones and Jimmy F disappear during non Olympic years, and Lochte is good for a 48 low or 47 high relay split. The Olympic trials each country holds technically have no bearing on actually qualifying for the Olympics. 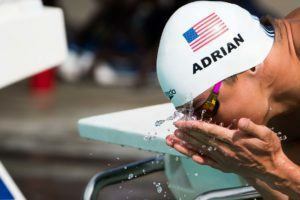 All that matters for individual events is that the swimmer makes the OST or OQT times at a valid meet and get selected by the country’s Olympic committee. For relays the USA already qualified the relay at the 2015 world championships and can send whoever they want. Countries host Olympic trials and send 1 or 2 swimmers per event based on the 1st and 2nd place finishes but they could send any swimmer who makes the Olympic cut times at any FINA international or national championship/trials meet within the qualification period. Relax people, he’s not saying he would automatically qualify for Rio with his swim at this meet. What he is shooting for I’m assuming is a time that would place him in the top 4 at Trials. If he does this, assuming he makes the team in his other events, he will be on the relay. 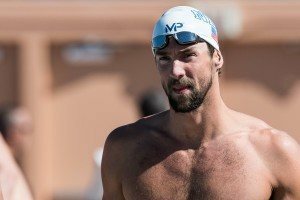 Relay swims are at coaches discretion, so although Phelps may not swim the 200 free at Trials if he is at the Olympics and is undoubtedly one of the 4 fastest Americans then the coaches will definitely put him on the relay. This makes a good point…if he can put up a time that he and Bob think will guarantee to be within top 6, he may not even need to swim the 200 at Trials, saving some energy for other races and giving him better chances at making those to Rio without sacrificing relay spots. Smart decision, well thought out.